At Eagle Flair we are known for fast printing turnarounds and fair prices. We have an impressive reputation of meeting customers needs. 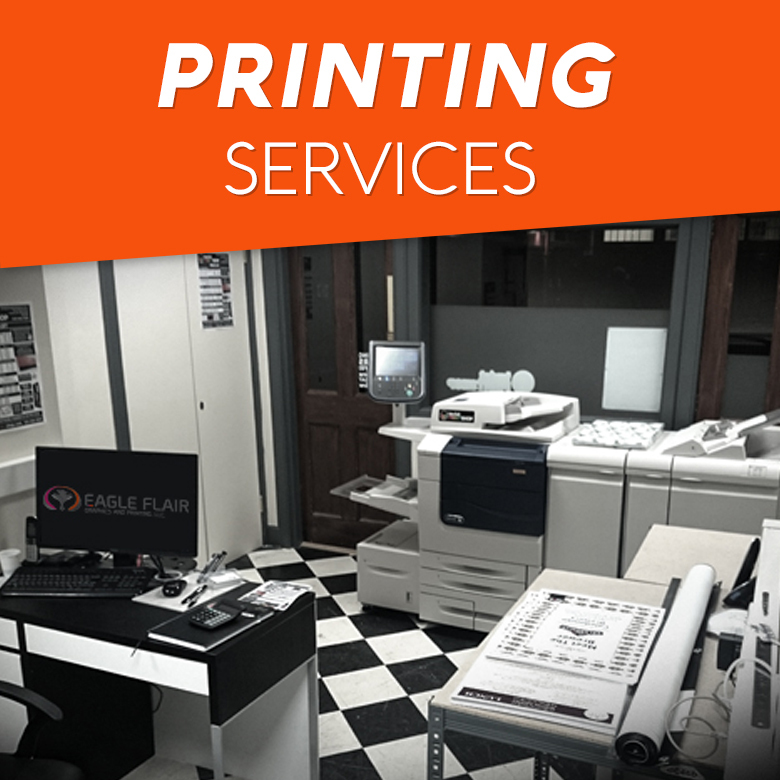 Whether it is a large print job for a massive ad campaign or color copies for an office meeting, we got you covered. Feel free to request an online quote today! Booklets, Bookmarks, Brochures, Business Cards, Carbonless Forms, Door Hangers, Envelopes, Flyers, Greeting Cards, Letterhead, Presentation Folders, Poster Boards, Rip Door Hangers, Table Tents and much more!